Follow simple steps given below to configure Command Server. The command server can be enabled or disabled by using the definition CMD_SERVER_ENABLED in sys_constants.hpp. In TCP, the server listens for connection requests from clients at a specific port. By default, the Port Number for the Command server is given in sys_constants.hpp. Navigate to file src >> system_configurations >> sys_constants.hpp. Many constants are defined in this header file. Find CMD_SERVER_PORT. By default, it is defined as 7893. This can be changed as per your requirement. Remember that in Step 4, we will use this port number as the TCP client end to connect to this command server. The Buffer Size and Data Timeout of the data server can also be changed in this file. Call the recv_data() , passing the character array as first parameter and number of characters as second parameter, to receive a command through the network from the other device using TCP. button. 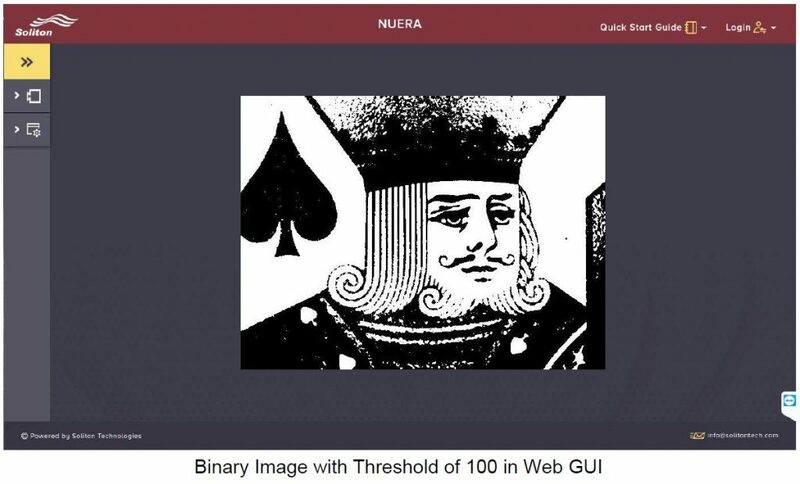 After a “Connected” message, the data we are sending from Hercules will be received by the NUERA camera and the threshold value is updated as can be seen in the images in web GUI.